Hi friends! 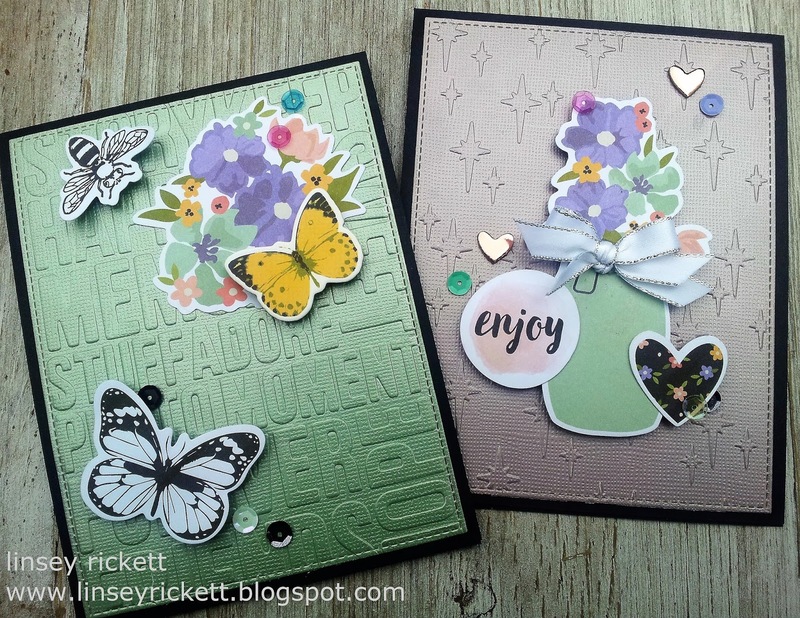 Linsey here today sharing 2 fun cards featuring dry embossing! I wanted the embossed metallic cardstock on each card to really stand out, so I kept the design very simple and minimal. 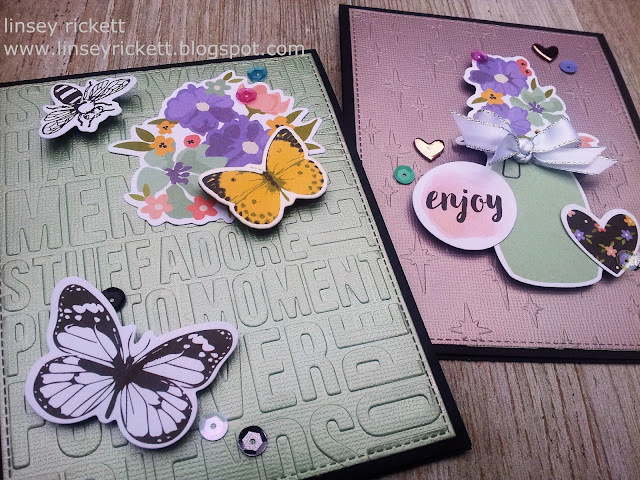 For the main front panels, I used the Teresa Collins Beautiful Words and Stars Universal Embossing Folders along with the Cut'n'Boss Electric Embosser and Die Cutter. These embossing folder designs are fabulous and I like the crisp, clean effect the embossing lends to the textured metallic papers. Some colorful Spring-like die cuts were added as well as a few sequins and chipboard stickers for a bit more dimension and interest. 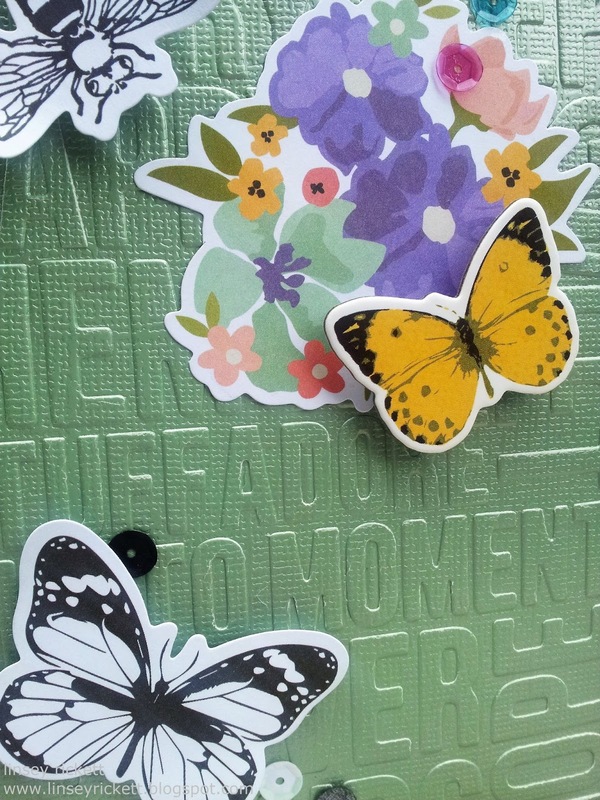 These cards are sure to brighten someone's day! Thanks so much for visiting today! 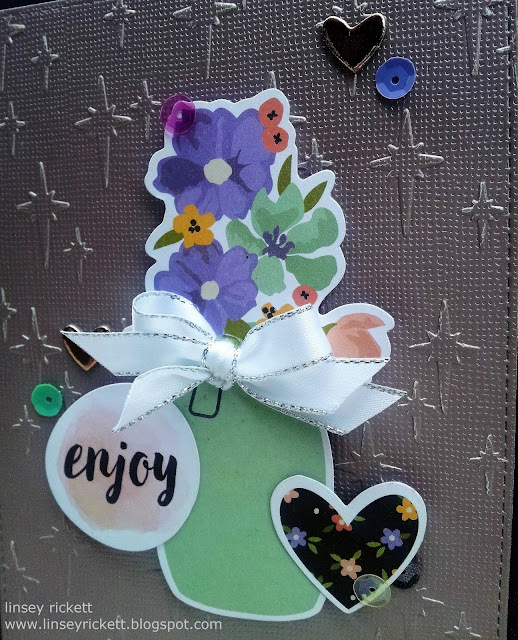 I hope you enjoyed my card inspiration! Until next time, happy crafting!